Last year, I started working on my garden in February, and a coworker of mine told me that I must be terribly dedicated (or crazy) to start working that early in the year. This year, I've started in the middle of January. What does that say about me? 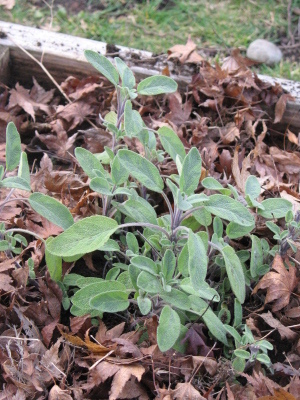 I stated in a previous post that I've discovered which plants survive the frost around western Washington. With that in mind, I decided to devote some attention to those plants. 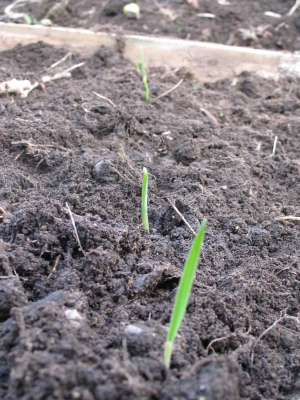 Some of last year's garlic sprouted this year, so I went ahead and planted some additional bulbs. I planted them in the box I used for potatoes last year -- it's important to rotate plants around to help keep the nutrients in the soil balanced, as well as deter plant pests that accumulate when a single crop has sat around in one spot for too long. 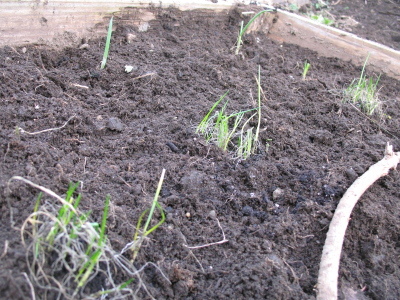 I also moved around my onion plants and put them into the same box as the garlic. 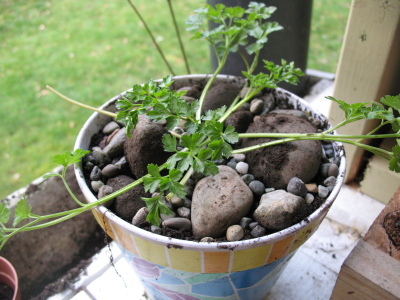 I had no idea how parsley grew, and to my surprise, it actually put out new shoots from the center of the stalk, and the roots grow pretty deep. 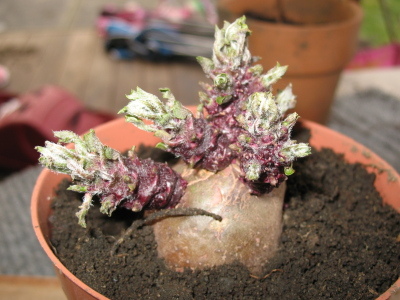 Just for fun, I put the largest plant into a pot to have as an ornamental plant. Here's a close-up of the new shoot coming up. Parsley forever! 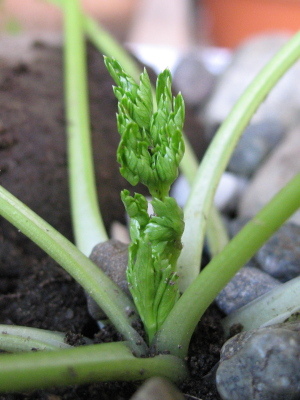 I like growing potatoes, because they're a simple food to grow. This one started growing in my pantry, so I decided to grow it in my window sill. Potatoes don't do well in the frost, so the only way to grow potatoes in the winter is to do it indoors. 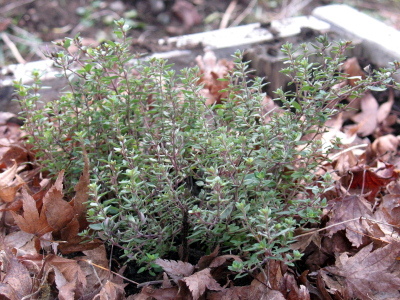 I moved the thyme and sage into the garden. Until now, the two plants have been growing in a small planter on my deck to give me easy access. However, the size of the planter has been limiting their growth, so I moved them both into raised beds. 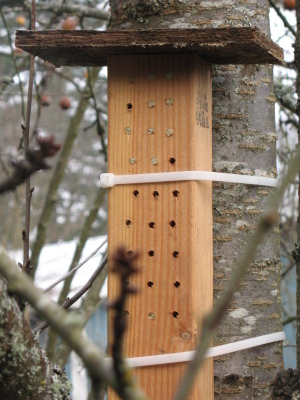 Lastly, I finally moved my orchard mason bees out to my cherry tree. I had to build a little roof for the nest to keep the rain out. Hopefully that'll be a good spot -- these non-hive bees are early starters, and should help pollinate my cherry tree once the blossoms are out.